George Washington has often been called “The Father of His Country,” and was deeply loved by most Americans. Before he became the nation’s first president, he was an influential military leader and statesman. He was elected unanimously as president and served two terms (8 years). George Washington became president at a time when states were struggling to work together. He helped build a national government and a national identity. George Washington was born February 22, 1732 at Pope’s Creek, Westmoreland County, Virginia. Washington’s father was a landowner/planter. He died when George was 11 years old. George’s older brother, Lawrence, helped care for George after his father’s death. George was educated at home. He studied math, reading, and writing, but never went to college. As a teenager, George became a surveyor (someone who measures and maps land) and a scout for the British government. The famous story of George Washington cutting down the cherry tree is just that – a story. George fought for the British in the French and Indian War when he was in his 20s. He was elected to Virginia’s colonial legislature. George married a wealthy widow, Martha Dandridge Custis. She had two children. George never had children of his own. George was a strong military leader during the Revolutionary War. He lost more battles than he won, but he persevered. After the Revolutionary War ended in 1783, George returned to his home. He was not elected as president for six more years (1789-1797). He was 57 years old. George Washington established many government patterns. He created a Cabinet of advisors; he made rules about how the U.S. handles treaties; he developed a national bank and money; he even developed customary presidential speeches, such as the Inaugural Addresses, State of the Union speeches and a farewell address at the end of service. 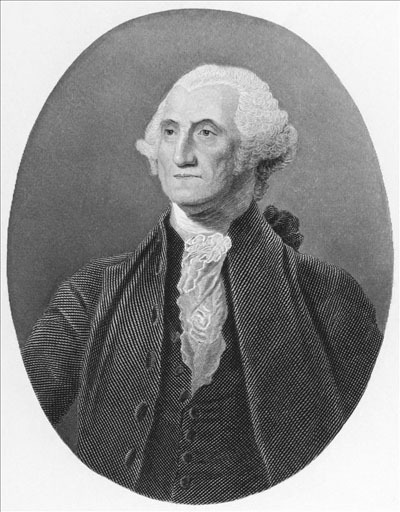 Political parties began to develop during George Washington’s presidency. Federalists favored a strong national government; Democratic-Republicans favored strong state governments with little federal interference. Question: When did George Washington die? Answer: George Washington died in December, 1799, only two years after leaving the presidency. He became ill after riding his horse around his beloved property, Mount Vernon. He probably had a strep infection. His throat became so swollen that he couldn’t breathe. Washington owned many slaves. In his will, he asked for all the slaves to be freed. Click here to take a virtual tour of Mount Vernon.